We listened to Paul Simon, ate food from jars. Pickled things. We craved something sour. Our lives weren’t sour enough. We lived in Morristown in my grandparent’s old house down the street from Washington Headquarters. “George Washington stayed there once,” I told you. “He stayed everywhere,” you said. You drove to Paterson to buy the stuff. I prayed for safe passage. For you and it. I itched. We shot up upstairs in my mother’s old bedroom. 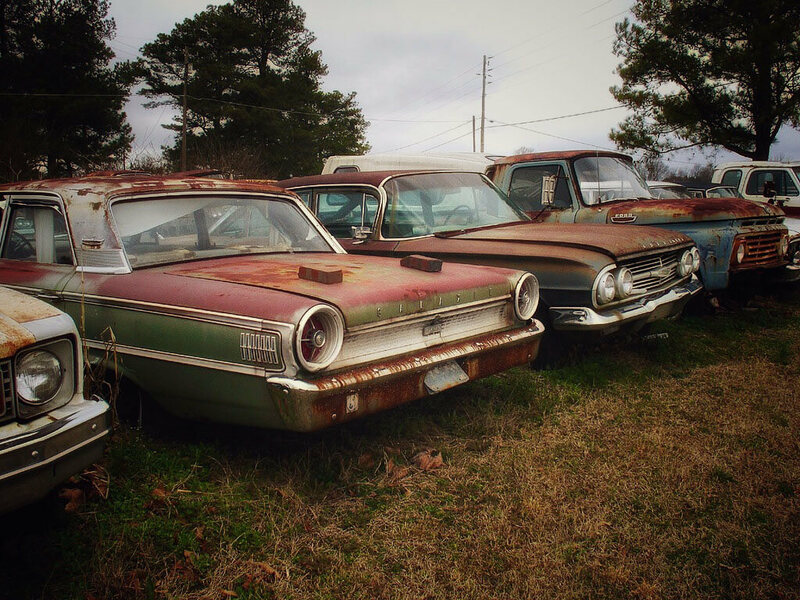 From the window I could see all of the cars in the yard, rusting in the thicket of uncut grass. Why were there so many cars? Where did they come from? These weren’t questions I thought to ask when I was a kid. I accepted the cars as they were. There. When the floorboards creaked I was convinced it was the ghosts of my grandparents coming back to warn me. I clung to you and you told me there was no such thing but you couldn’t fool me because I could see your fear. You heard it, too. At night when the wind walked whistling through the backyard, you looked over your shoulder for the phantoms of a family you never met. I guess it wasn’t too late for me to make the introduction, though I doubt they would have liked you very much. You would have laughed if I said that to you, but you were sensitive, too. My friends never liked you. That was no secret. “I’ve always had bad taste in men,” I told them. “Not this bad,” they said. I fed off of their disapproval the way you’re not supposed to. I knew back then you were into the stuff. I guess I fed off of that, too. I wasn’t doing much else. Working as a waitress at a restaurant on the Green. The Green was a poor excuse for a park. They used to hang people there, and I’d try to figure out where they built the gallows. Under what tree. I thought about Antoine le Blanc, a Frenchman who committed a triple murder in 1833. Ten thousand people crowded the Green to watch him die. After, his body was taken to a laboratory and experimented on with electrical currents. Dissected. His skin made into wallets, lampshades. They made a plaster cast of his face. Manuel was my only friend at the restaurant. He didn’t like you, either. He said you had bad energy. I told him about your learning disability. I thought maybe it would change his mind. It had always been hard for you. I think that’s why I loved you. I didn’t. I stayed with you. We lie awake at night and hold each other. We’re rattling bones in loose skin. It’s cold in the house, drafty. Or maybe it’s the ghosts. “Hello?” I ask my own cloudy exhale. But when I’m gone, who will know my face? Rachel Harrison lives and writes in Brooklyn, NY. Her fiction has appeared in WhiskeyPaper, Wyvern Lit, and elsewhere. She tweets @rachfacelogic.